 Garfield County Farm Bureau recently donated $15,000 to the Oklahoma Farm Bureau Foundation for Agriculture to provide a new livestock trailer for the foundation’s Pork for Packs and Beef for Backpacks programs. 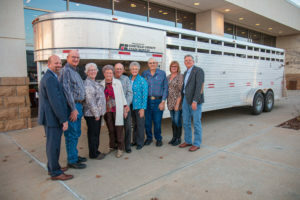 The trailer was unveiled at OKFB’s 77th annual meeting held Nov. 16-18 in Norman, Oklahoma. Garfield County Farm Bureau members, alongside OKFB Executive Director Thad Doye, pose for a photo with the recently donated livestock trailer. The trailer will be used to transport animals donated to the Pork for Packs and Beef for Backpacks programs. A partnership between the OKFB Foundation for Agriculture, Oklahoma FFA Association, Regional Food Bank of Oklahoma and other agricultural organizations, the Pork for Packs and Beef for Backpacks programs use donated cattle and hogs to produce protein sticks for the food bank’s Food for Kids program. The Food for Kids program provides backpacks filled with non-perishable, kid-friendly food to eat on weekends and school holidays. Learn more on the Regional Food Bank of Oklahoma’s website.